Edward Comerford was the Roman Catholic Archbishop of Cashel in the immediate aftermath of the defeat of the Catholic Irish cause in the 1690s and the Treaty of Limerick. He lived under the protection of the Mathew family of Annfield and Thurles, Co Tipperary, and through them enjoyed the patronage of the Ormond Butlers, even as the Penal Laws were being introduced. Edward Comerford was born ca 1644. His parentage and place in the family are difficult to ascertain, having been obscured by the family tree registered in Dublin on 22 April 1724 by Joseph Comerford, with its fanciful claims for the origins of the Comerford and Comberford families [see Comerford Profiles 9: Joseph Comerford (d. 1729), Marquis d’Anglure]. According to this pedigree, Edward Comerford was the son of Richard Comerford, and grandson of Richard Comerford, the eldest son of James Comerford. 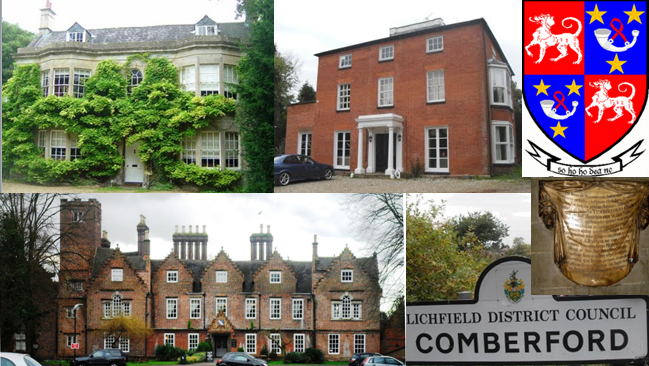 This pedigree also claims that Archbishop Edward Comerford had an elder brother, Richard Comerford, who died without having any children. 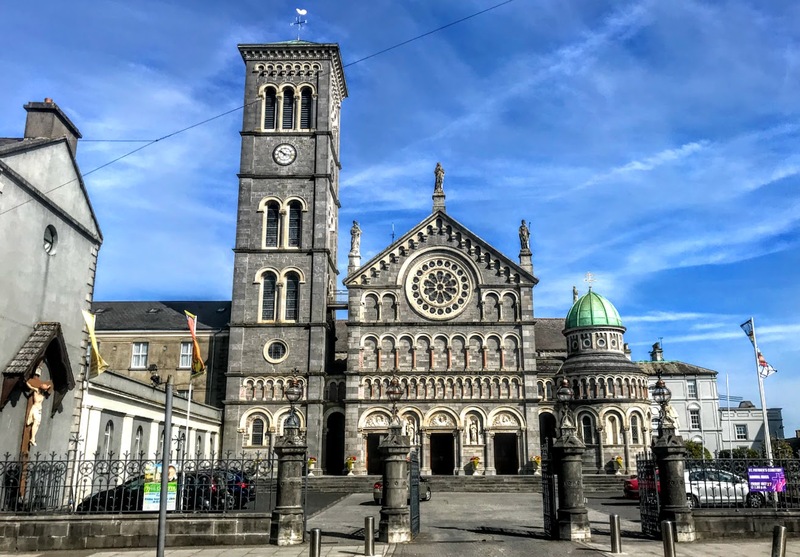 In addition, it says the archbishop was the second cousin of Edward Comerford of Clonmel, the father of Joseph Comerford of Clonmel and Anglure. According to a paper by a local historian, Michael Fitzgerald of Thurles (see Ballingarry Parish Journal 1999, pp 48-49), Edward Comerford was born in 1644 at Rosnaharley, now Harley Park, in the parish of Lismolin, now part of Ballingarry parish, Co Tipperary. He asserts that Edward was the son of Richard Comerford and his wife Anastatia and a direct descendant of the Comerford family of Ballybur and Danganmore, Co Kilkenny. At an early age, the future archbishop went into exile in France. He matriculated at Paris in 1659, was awarded the degree MA on 1 August 1665, and was ordained priest by Bishop Andrew Lynch of Finnobore in Rouen in 1669. He remained in Paris, where he joined the German Nation (1669) and was elected procurator of the German Nation (1676). He also earned an LTh (1676) and STD (1677). He was listed as having served as dean of students at the Irish College. After studying in the Sorbonne, Edward Comerford moved to England, where he worked for some time with the Roman Catholic mission, before returning to Ireland as the Parish Priest of Saint Mary’s in Thurles, Co Tipperary. His move to Thurles was possibly due to the patronage of the Mathew and Butler family – the Duke of Ormond’s widowed mother, Elizabeth Lady Thurles, had married George Mathew and was the mother of Toby Mathew of Annfield, the most influential landlord in the Thurles area. Mathew had hidden and protected the Roman Catholic Archbishop of Cashel, John Brenan, and when Brenan died in 1693, Edward Comerford was nominated by the exiled James II to the vacant see on 15 August that year. Dr John O’Moloney, the Bishop of Limerick and Killaloe (1689-1702), who was living in exile in Paris, objected to Comerford’s nomination to Cashel and to a similar nomination on 23 July 1694 of Dr Richard Pierce to the vacant see of Waterford and Lismore. However, O’Moloney’s objections were perceived as being partly political, for he had strongly opposed the political activities in Paris of the exiled James and his Jacobite court, and partly personal, in that he too may have hoped to become Archbishop of Cashel. James II replied to O’Moloney’s objections, pointing out that Comerford had received his doctorate at the Sorbonne, that he had worked on the English mission for many years, and that he had been a parish priest in Ireland for many years. In addition, James insinuated that O’Moloney’s opposition to the nomination of Comerford and Pierce was motivated by the Stuart monarch’s refusal to appoint him as Archbishop of Dublin or as Archbishop of Cashel. Finally, Pope Innocent XII issued the bull appointing Comerford as Archbishop of Cashel on 14 November 1695. The bull appointing him was brought to Ireland by one “ffather Owen fferress,” who later became a parish priest in the Diocese of Kerry. A state paper of the time on the state of Roman Catholics in Ireland lists 838 secular priests and 389 regular priests, and three bishops (Cork, Galway and Waterford). Several Roman Catholic bishops had been expelled from their dioceses or from the island, and those who remained behind lived a precarious life, depending on the shelter provided by members of their flock. 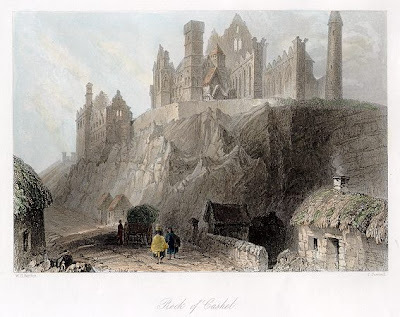 By March 1703, only three Roman Catholic bishops – Edward Comerford of Cashel, Rossiter of Ferns and Dr Patrick O’Donnelly of Dromore – were still living in Ireland; all three were unknown as bishops to the government authorities. The Nenagh county sessions in Co Tipperary on 17 July 1704 heard that Comerford, who was then 60, was then the Parish Priest of Thurles, but there is no mention of his Episcopal claims. He continued as parish priest of Thurles under the protection of the Mathew family, living at Annfield, the home of Toby Mathew, who had hidden Comerford’s predecessor, John Brenan. In 1707, James “III” noted in a letter to Cardinal Imperiali that there were only two Roman Catholic bishops left in Ireland: the Bishop of Dromore, who was in prison, and Archbishop Comerford, who was an invalid. Archbishop Comerford also administered the neighbouring Dioceses of Emly and Kilfenora from 1705 to 1710. 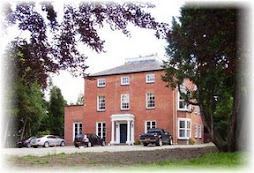 He died on 21 February 1710, perhaps in the Mathew family home in Annfield. Although there is no surviving record of his burial, he is said to have been buried at Saint Mary’s in Thurles, Co Tipperary. 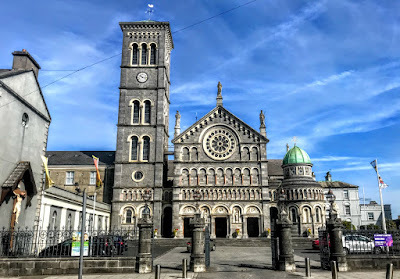 The Cathedral of the Assumption in Thurles, Co Tipperary, was designed by JJ McCarthy and built in 1865-1879 The Cathedral of the Assumption in Thurles, designed by JJ McCarthy and built in 1865-1879, now stands on the site. Two years after the death of Archbishop Edward Comerford, Christopher Butler, a member of the Ormonde family and a native of Westcourt, Callan, Co Kilkenny, was consecrated to succeed him as Archbishop of Cashel. I have failed to identify this bishop and diocese; there was a Bishop Andrew Lynch of Achonry, but he lived earlier in the century was probably dead by 1669. John Brady and Patrick J. Corish, “The Church under the Penal Code,” in Patrick J. Corish (ed), A History of Irish Catholicism (Dublin: Gill and Macmillan, 1971), vol 4, part II, p. 7. P.F. Moran, Spicilegium Ossoriense (Dublin, 1874-1884, three vols), vol 2, p. 345. Brady and Corish, p. 7. Brady and Corish, p. 8; HMC, Cal Stuart Papers 1, 210. Last updated; 20 November 2009; 11 February 2010; 2 August 2011; 14 April 2013; 25 July 2018; 2 September 2018. Thanks for posting these very interesting pages on history and genealogy. I was visiting yesterday looking for information on the Shee family, and came across the website. Is there any confirmation on the identity of the parents, and in particular the grandmothers of Dr. Comerford? I also came across an old article that quotes from a manuscript, apparently about the Tobyn family. The article does not specify the date when the manuscript was prepared, but it must have been during or after Dr. Comerford's times. The article in question mentions him, and specifies he was first cousin of William Shee. This William Shee seems to have married a daughter of Thomas Tobin, Esq. It is not very clear, but it seems this Esquire, had another son of the same name, who married Ellis Shee, daughter of Henry Shee of Clunnyhee. In addition, the manuscript mention an aunt of Ellis Shee who married Major Comerford of Ballymack.